Kids and parents (too) eagerly await for summer camps because kids get a chance to play and learn important lessons while having loads of fun. What's also important is that parents don't have to worry about sending their kids to summer camps as these events are good for kids. Summer camps are very popular all over the USA and since these camps are organized in the peak of summers it also gives kids plenty of opportunities to chill out with their friends and classmates in their own way. In the USA, many schools organize summer camps in different locations. However, Atlanta summer camps are quite popular since they offers kids a great opportunity to learn and enjoy some of the marvelous and splendid places in Atlanta. Kids have their own reasons for joining the summer camp. They may be reluctant to go to the schools all year round but they never want to miss the summer camps because it is more of a picnic trip for them with loads of adventure and fun. The increase in the popularity of summer camps in the USA can probably be attributed also to the mandate that every school need to organize summer camps for the overall development and learning of the kids. Summer camps give the students a great opportunity to discover their identity including their hobbies, interests and other likings. So kids can take summer camps as part of an academic curriculum or simply as a great opportunity to spend time with other kids their age. Whatever type of summer camp it is, what you need to be sure of is that your kid is going to enjoy at the camp and have a great fun time. Many kids enjoy drawing and painting. Both activities are fun and support academic learning. Usually, children are taught different types of painting like sketch painting, watercolour painting or oil painting. Some summer camps also offer classical forms of drawing like portrait making and canvas drawing. One of the primary activities of the summer camp is the adventure activities and sports. Most of the summer camps have a wide portfolio of adventure sports like rock climbing, zip lining and river rafting. Some sports are quite extreme for younger kids therefore they must engage in these activities with expert supervision and strict observance of safety measures. There are summer camps that organize high-intensity knowledge sharing sessions like quiz competition and skill development sessions. These sessions are very helpful in building good knowledge among the kids and help them to increase their academic skills. Next summer may still be months away, but as parents you need to include your kids summer camps in your plans. 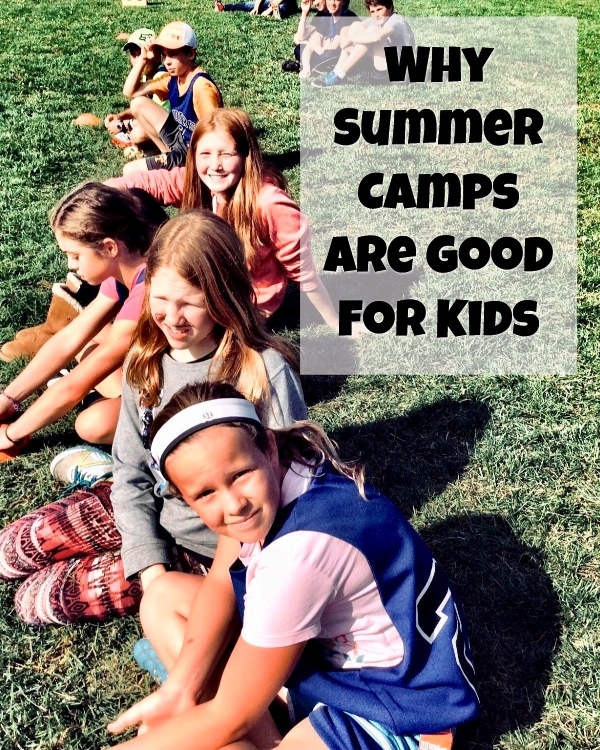 Find out which summer camps are good for your child and which ones he/she really likes. Find out the cost you might need to spend and create a budget for it. What type of summer camp does your kid like? Do share it with us in the comments below. I wish we had more summer camps around here! I'd love to send my daughter to one! My kids love going to camp! They have the best time and it gives us some quiet time. I think summer camps are a great idea for kids although they are not popular here in the UK. We only have 6 weeks of summer from school and so I dont think there is as big a time span to fill. I loved summer camp! I went to a church camp and I met some of my best friends there! Summer camps have always been great experiences for my kids. As they get older, it keeps them from spending their summer in front of a screen! I definitely agree that summer camps are great for kids. It allows them to interact with other kids and to branch out and learn new things away from the family.